Social media marketing is undeniably the best tool for promotion and awareness of a product or service from an organisation and start-ups. Here we provide top 10 social media optimization tips and tricks using which you can dominate the social media and improve your business. To be successful on internet in the present times, it is important to create content or an article that sparks and ignites the audiences thus creating a buzz all over the cyber space. When you are on twitter you can search and find numerous interested followers. There are many sites and tools such as ‘Twellow’ which are basically used for finding the prospective customers and buyers from the internet. These apps use the algorithm so that they can find the followers from the list of those people that you have followed. So make sure that you follow a handful of well-known bloggers and writers. Get informed about ideal Twitter background size of Image for better and eye catching look. There are many tools such as ‘buzzsumo’ which are used to analyse and calculate the popularity of each and every post. This way you can find the pattern of those posts which the users feel interested and ditch those pattern of posts which are flop and unpopular. You can check for some important recommended services here. The best way to create popularity and buzz in the internet is to post interesting and attractive articles and posts on the internet daily. Make use of hash tags at the right place and at the right time. Make the hash tags attractive and short so that it can be easily recollected. Once a hash tag is created use and follows it as much as possible and before you know it, it would have gone viral over the social media sites. When writing contents and articles for the blog posts, make use of one liners or a part of the content and it’s URL that has been posted in the social media sites such as Facebook and Twitter. The best way to capture the attention of the audiences is to pass the required message in a visual representation. This way the user can easily understand what article will be brought up once they click the relevant image. Facebook’s algorithm has been changed drastically changed and now the pages and their posts are only visible to the certain group of people who are actually interested in it. Pages can take advantage of this and make use of more informational posts so that it would be classified as a resource page rather that a promotional page and thus have wider audiences. Using one of the several time tracking software out there can help you to efficiently organise the time and work so that you can spend more time on the jobs that actually demands them. Using the service of LinkedIn publisher will help your posts and articles to reach more audiences thus helping to build reputation and brand recognition. Make use of various interesting surveys and other social and public events so that the visitors will feel the need for visiting the websites again. 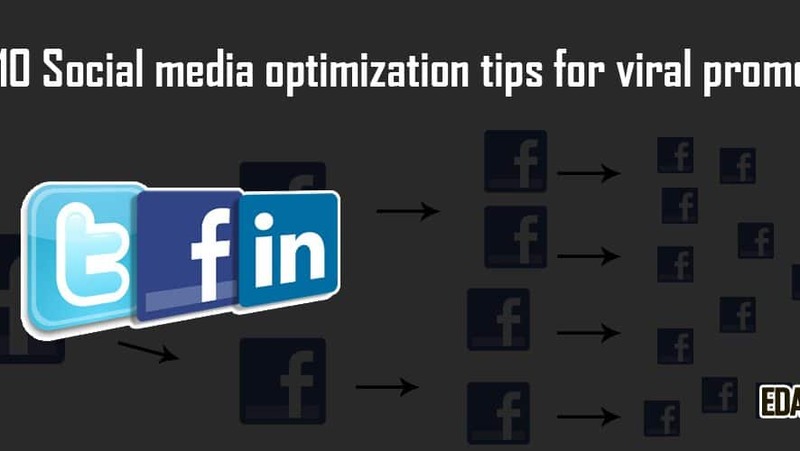 By following the above-mentioned tips, you can drive a very large amount of traffic from the various social media sites like Facebook and twitter to reach out to wider audience. There social media optimization tips are proven effective in last many years and we are now satisfied with it.